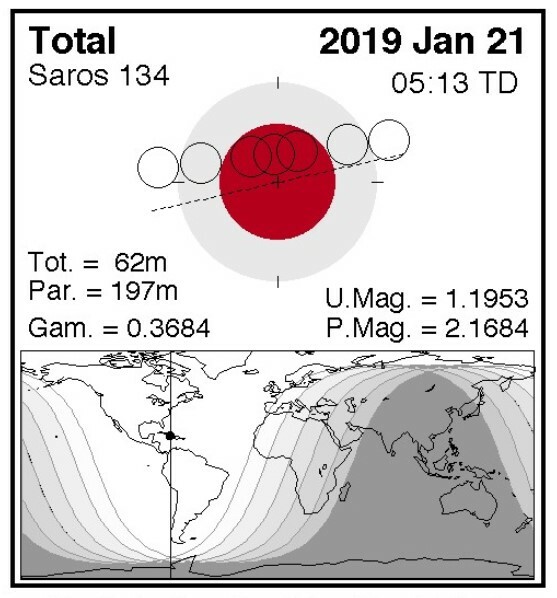 Soon we will witness Super Blood Wolf Moon eclipse 2019 which will be very beautiful. The occasion will occur on January 20. NASA mentions this one will feature a super blood moon. 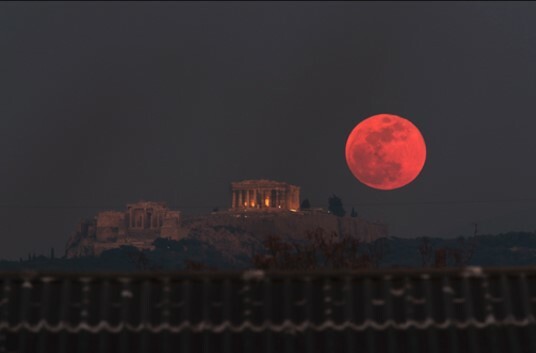 Lunar eclipses only happen during full moons, and January’s full moon is sometimes called the Wolf Moon and accordingly it has become a Super Blood Wolf Moon eclipse. This interesting phenomenon is happened when entire moon passes through the Earth’s shadow. The eclipse will also happen when the moon becomes the closest to Earth in its monthly orbit, and it moves close enough to qualify it as a super moon. That can make the moon appear slightly bigger than normal in the night sky. Why Sometimes Lunar Eclipse Is Called Blue Moon? A blue moon is simply a moon that takes on a red or orange tint as it moves into the Earth’s shadow. The phrase has nothing to do with the actual color of the moon.The term has traditionally referred to an “extra” full moon, where a year which normally has 12 full moons has 13 instead. The “blue moon” reference is applied to the third full moon in a season with four full moons. The Time when the phase is going to happen! At first it is not going to be very noticeable as it will be “very slightly” for nearly the next hour as it moves deeper into shadow. The phase will start at 8:36 p.m. CST Sunday. The edge of the moon will begin entering the deepest part of Earth’s shadow or umbra at 9:33 p.m. CST Sunday. According to Space.com “The lunar eclipse actually starts on the evening of Jan. 20th 9:36 p.m. Eastern Time. That’s when the moon enters the Earth’s penumbra, the light shadow that surrounds the umbra, the darker shadow that actually obscures the moon. The penumbral shadow is hard to see except perhaps as a slight change in the quality of the light of the moon. At 10:33 p.m. Eastern the moon touches the umbra, the shadow that makes the moon look dark. But as the evening progresses more of the moon will be obscured”. Why Does the Moon Looks Red During Eclipse?